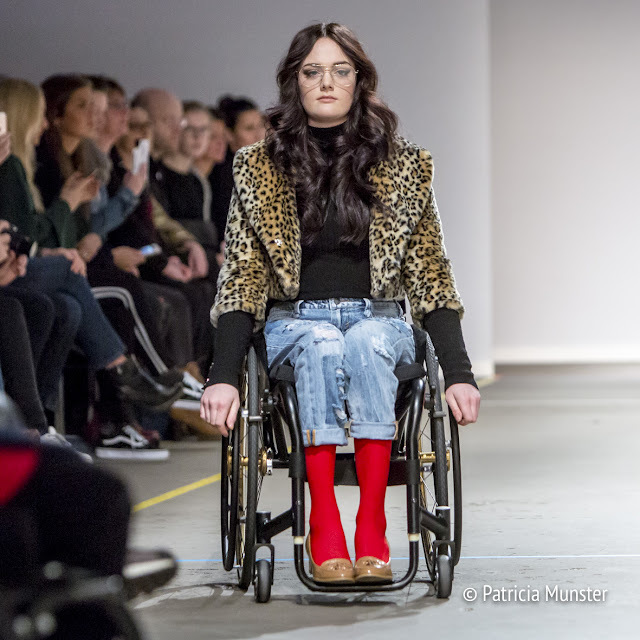 A woman in a wheelchair appears on the catwalk. The lights go on slowly. 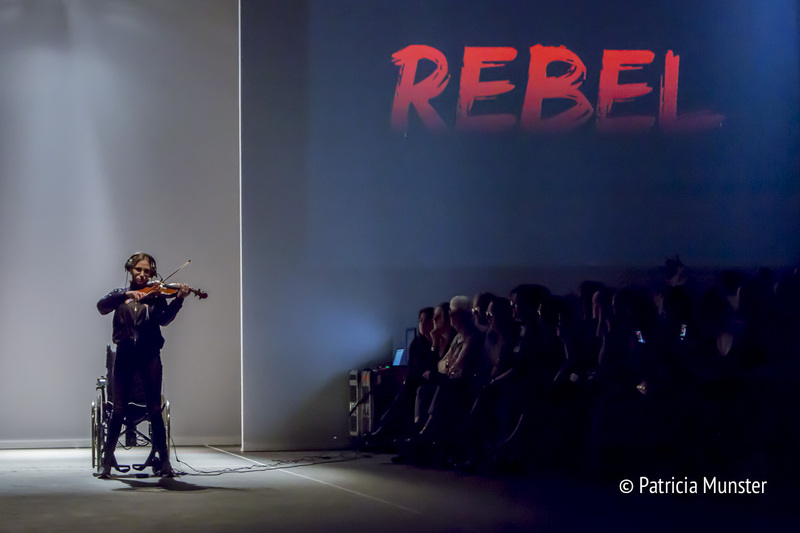 Kim Spierenburg gets up from her wheelchair and plays a beautiful piece of music on her violin. The fashion show of SUE kicks off. 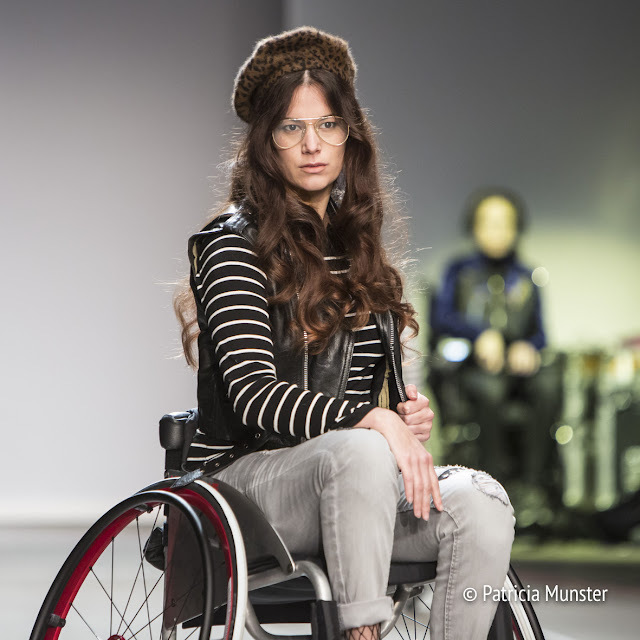 This time not only models in a wheelchair. 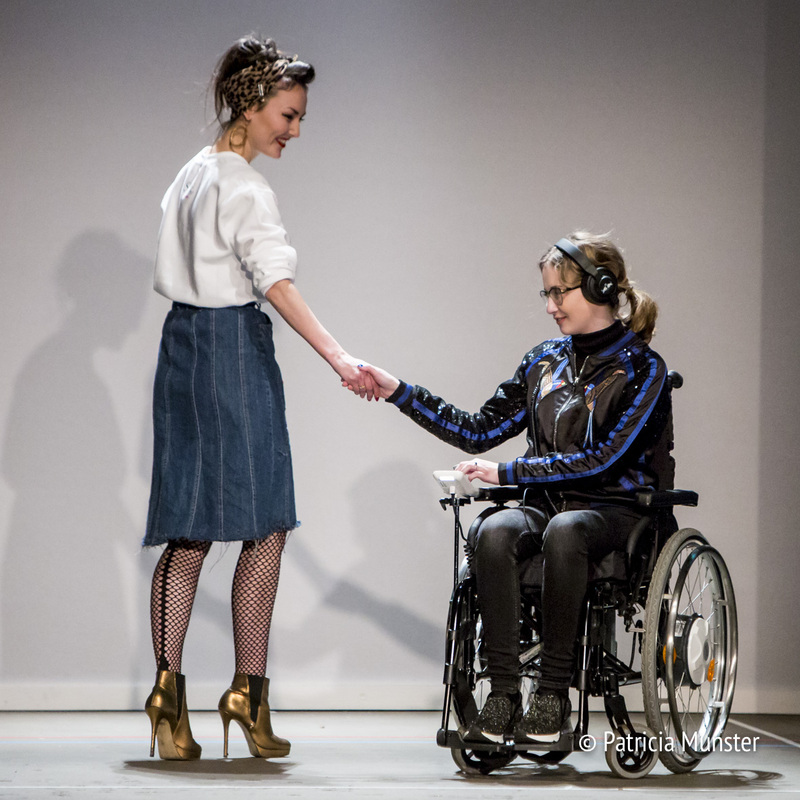 Elke van Achterberg impressed by walking with her prosthesis down the catwalk. Each SUE warrior left an impression in her own unique way! 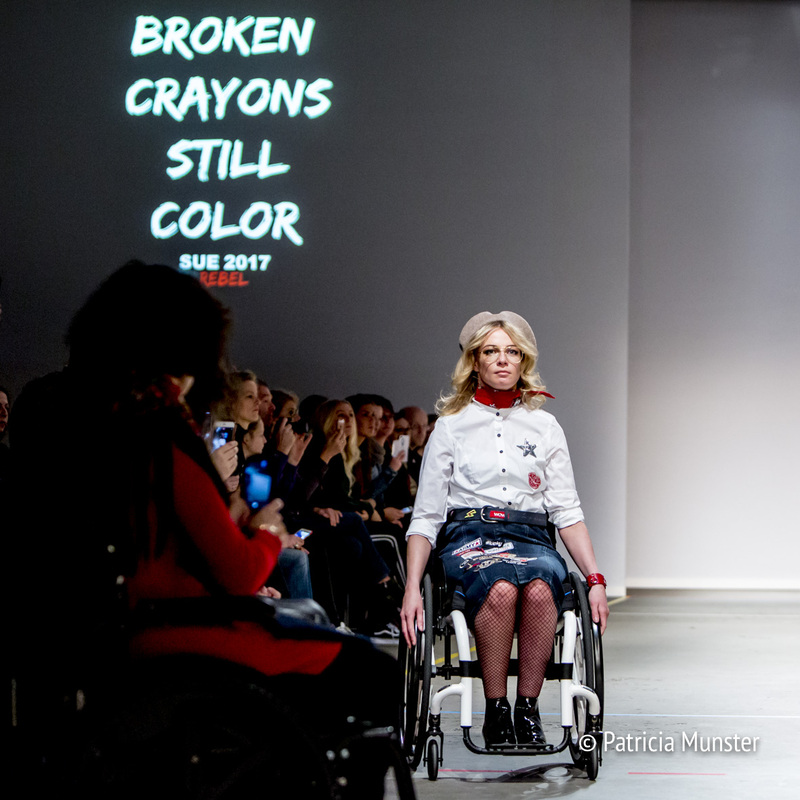 It is the second time Kelly Sue presents her collection during Amsterdam Fashion Week. 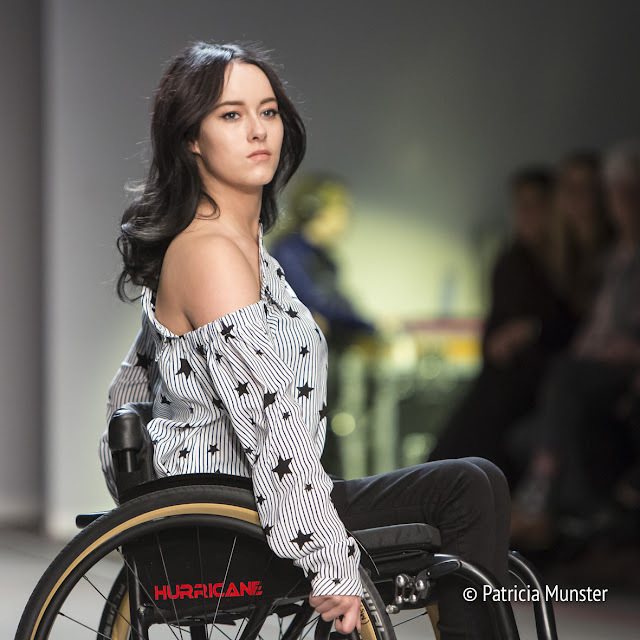 Her Sue warriors have impressed in 2016 and potential customers and the press came with great interest to have a look at the new collection. A lot of denim with playful applications, a must-have sweater with the text "Broken crayons still color ', leather-look jackets, faux fur and striped shirts. 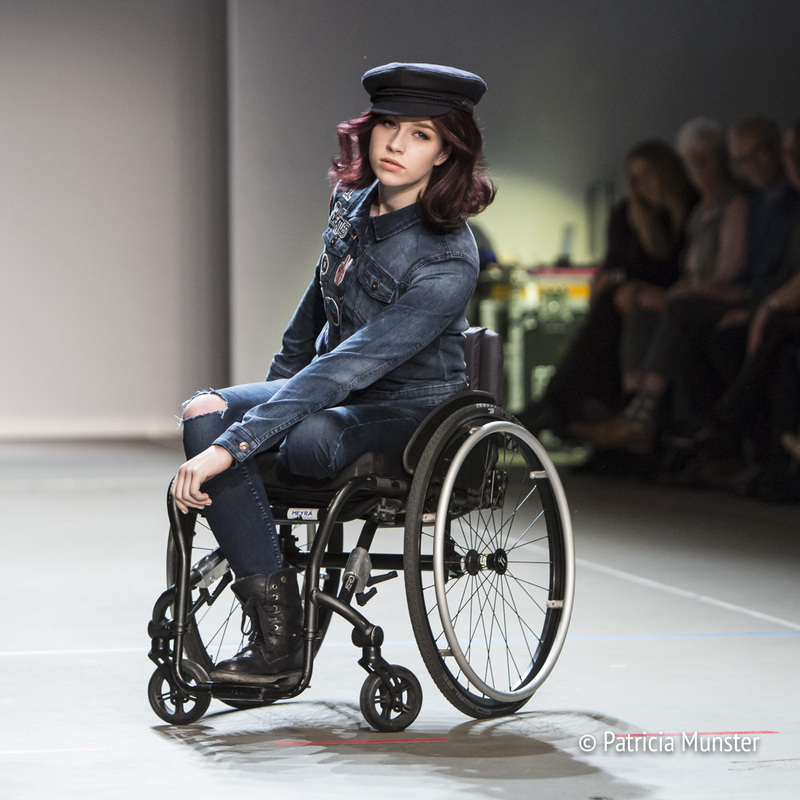 And not only for the wheelchair user! 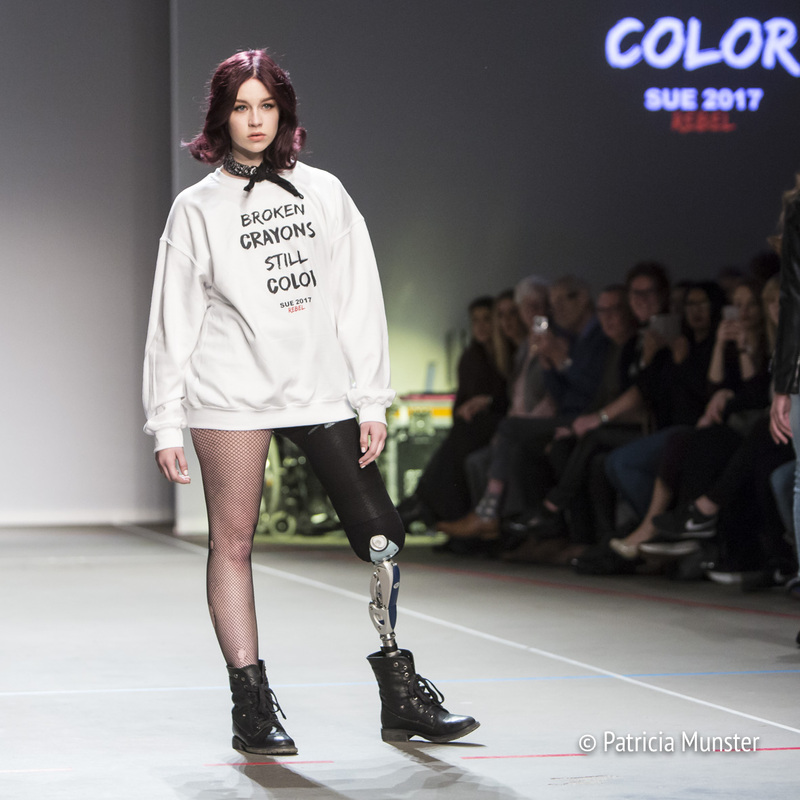 The SUE-warriors did it again!